You can be more effective and more efficient selling in 2018, do every single thing I wrote about in this article, exactly as I wrote it, and without any difficulty, by making a conscious decision to follow this blueprint. It's not hard. It's not scary. It's not unusual. It's not even thought-provoking. It's simply a list of best practices that great salespeople (top 5%) do and that crappy (46%) salespeople either don't do consistently or don't do it at all. The ideal sales day begins the previous evening. Looking ahead to tomorrow, how many meetings do I have, which of those are sales related, how many items on the to-do list must be completed, how many proposals are due, and how many emails must I respond to before the day begins? Based on all of that, how early do I need to set the alarm? For me, most mornings it's for 5:30 AM. Upon awakening, I like to begin the day inside CRM (we love Membrain) so that I can see all of my opportunities, the stage of the pipeline they are in, identify those I must move along, and who is waiting on me for something. Next, I need to identify my prospecting time for the day. That's when I'll do the required work on those opportunities that need attention and schedule new meetings. On most days, I have less than an hour of time for this so I need to be prepared to be ultra productive. I can't afford to spend an hour attempting to reach potential new clients since even for me it will take 10-15 attempts to reach a CEO or Sales VP so it's crucial to actually connect with prospects during this time. I begin with introductions, move to referrals, then to inbound leads from appropriately titled decision makers, and back-fill with LinkedIn connections and other inbound leads. I only want to schedule future calls - not spend time talking with them today. If you aren't fortunate enough to have a steady supply of introductions, referrals and inbound leads to call, you need a way to be more efficient than cold calling and I recommend that you use ConnectAndSell. In an hour of calling they'll help you connect to an average of 7 prospects whereas attempting to reach prospects on your own might not yield 7 connections in an entire day. It's still early so this is the ideal time to respond to emails that I didn't get to yesterday, those that came in over night, and those where I need to be proactive. Finally, there are the scheduled sales calls. For brand new opportunities, what do I need to know about them, their company, their industry and our common connections before we speak? What is the desired outcome for each call? What is the game plan to get there? These days almost everything I do is by phone or video conference and that holds true for sales calls as well. If I want to achieve a predictable outcome then all I have to do is have a great conversation that faithfully follows our sales process, reaching the required milestones along the way. One of the things that I love about Membrain is that the sales process, milestones, scorecards and playbooks for each milestone are on the screen during the call. Companies that are in sales training, learning sales process and/or methodology, introducing playbooks, on boarding new salespeople, incorporating integrated CRM, or getting veteran salespeople to change the way they do things gain an additional benefit or 3 from these features. There is very little that can go wrong when you prepare like this. Surely, some calls will cancel or reschedule, some prospects will be unqualified, some opportunities may be poor fits, and some prospects won't want to share answers to your questions. You can't control any of that stuff but you can prepare for it. Read this article to better understand how to use your unexpected free time. When salespeople are scheduled to have an actual sales call with me all they want to do is pitch, present and demo. Does anyone, other than those salespeople that we train, actually use a consultative approach to sell? 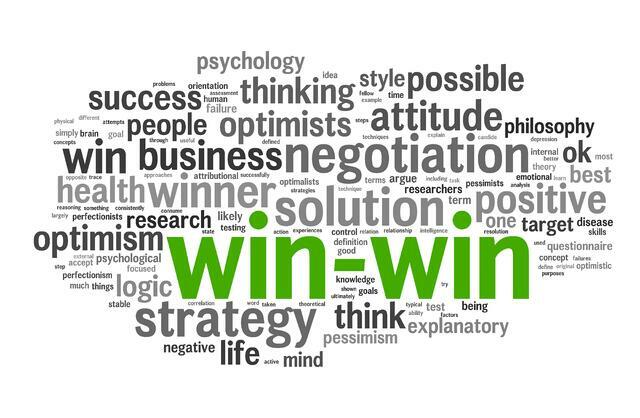 Armed with an effective approach, appropriate planning, effective sales process and methodology, supportive sales tools and good scores in all 21 Sales Core Competencies, you will succeed. What do you do when a call or meeting cancels unexpectedly? Distract includes catching up on your reading, browsing the net, stepping out for a beverage and/or snack, making a social call, chatting with colleagues, relaxing, driving, or taking a nap. It also includes getting things on your to-do list taken care of, administrative work, proposal writing, quotes, responding to email and other non-selling time work that could be done during the evening or the hours before the sun comes up. Distract is the sales version of charcoal. It's dirty. Engage is phone specific. It includes returning calls, diving into CRM and making calls to move opportunities forward, making calls to schedule new meetings, and making calls to get introductions. Engage is the sales version of Diamond. It's crystal clear. In other words, when you find yourself with engage time during business hours, that should translate to phone specific action. Everything else must be done after hours. Many salespeople are so busy getting the work done that they don't see how much selling time they waste doing administrative work that can be postponed until later. Instead they do their administrative work and postpone their selling. This Google search reveals that most salespeople spend between 3% and 35% of their time actually selling. When we correlate these percentages with selling effectiveness, the top 23% of all salespeople spend double that amount while the bottom 77% are actually in the 3-25% range. The bottom 77% are there only because they score poorly when measured on 21 Sales Core Competencies. The fact that they don't manage their time well either simply compounds the problem. I've written a lot about scorecards in the past 12 months while Kurlan & Associates created scorecards for more than a dozen companies in December alone. Companies that are using our scorecards are reporting significantly higher win rates, better use of resources, and much less time spent chasing deals and accounts that they simply can't win. 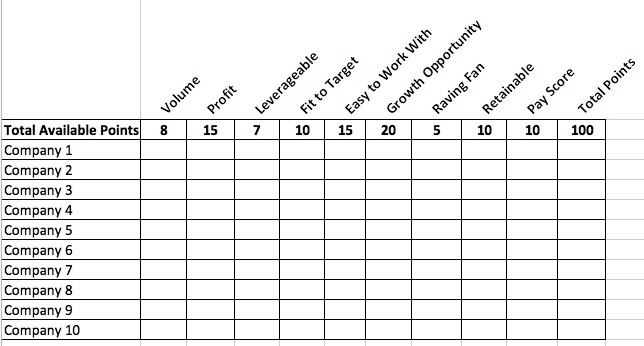 Until now, I have talked only about sales process scorecards used to further qualify opportunities and predict the chances of winning the business. Marketing - to score a lead. Recruiting - to score a candidate. 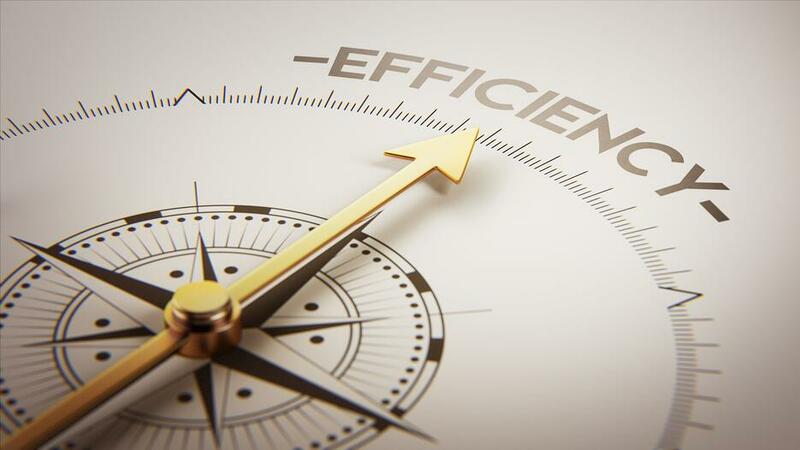 Account/Territory management - to score accounts so that you can objectively determine the accounts on which your salespeope and/or account managers should be spending most of their time. In the table below, you can see a generic Kurlan scorecard for time/territory management as well as account management. You can modify the weighting for the 9 criteria based on how important each one is to you and your business. Just make sure that the totals equal 100. After you have prioritized each category and assigned points, score each account in the territory. Salespeople and/or account managers should invest their time in direct proportion to the scores for each account. You can hire an additional salesperson to work on the accounts that aren't as important, but still need to be touched on a regular basis in order for growth to occur while at the same time assuring retention. What other criteria can you include in your account/territory management scorecard? 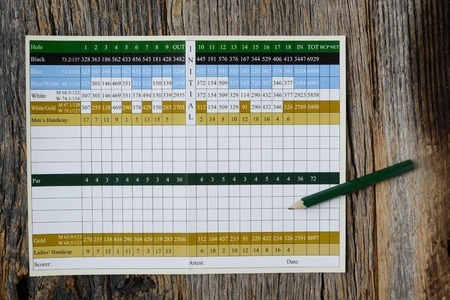 Here are some of the other articles I've written on scorecards as a part of the sales process. We attended the organizational kick-off meeting for the team with whom our 14-year old son will be playing travel baseball this year. The organization is run by former MLB pitcher Brian Rose and one of the memorable things he said at this meeting was, "There will always be someone working harder than you." He said, "If you take a day off, someone else will be still be working" and, "If you want to be the best you have to work harder than everyone else." Mark Cuban said, "Work like there is someone working 24 hours a day to take it away from you." I've always outworked everyone in my own companies so both of these quotes resonated with me. At the same time, hard work alone isn't enough. You must also be smart and efficient about what you work hard on. For the first article of 2017, I thought it would be helpful if I shared how I get more done than anyone else I know. Say no. One of the important things I picked up from business guru and Gazelle's CEO, Verne Harnish, is that you must identify 3 things that you won't do anymore. I carry that theme forward on a daily basis and as opportunities, events, projects and tasks are presented to me I say no to those things that don't support either the business goals, core offerings, or personal goals and values. Calendar. 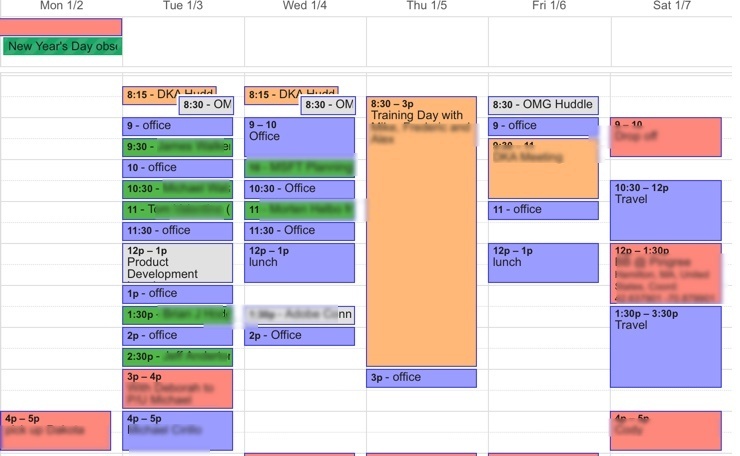 A functional calendar allows me to visually see my day, week and month. I manage the calendar myself and don't let assistants anywhere near it. Not only that, but entries are color-coded so that I can quickly and easily determine whether I am maintaining a balance between the two companies, between sales and delivery, and between work and family. This is very important: I block out time, in advance, for getting work completed in between calls, appointments and meetings. In addition to the color coding, my calendar is synced between my iPhone, iPad, Macbook Pro and iMac computers. I use Google's Calendar syncing as the engine and on my mobile devices I have the Readdle app, and on my computers I use CalendarPro for Google. Automation. 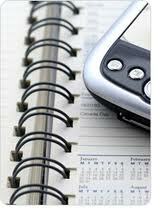 I save time and aggravation by using an online scheduling tool. Instead of going back and forth with someone to identify a time that we can meet or talk, I provide them with a link to my calendar. I write in an email, "Would you mind using this link to my calendar to find and schedule a mutually convenient time for us to talk/meet?" I embed a link to the scheduling tool which, in this case, is an app called ScheduleOnce. You have no idea how easy this is, how much time it saves, and the thanks I get for making it so easy. Lists. I believe that my mind is sharper than it's ever been. Sharp doesn't necessarily mean that I can remember everything I need to do each day, week and month, and you can't arbitrarily decide which things to write down and which things to remember. So I have a no exception policy where everything I need to do is committed to a list. 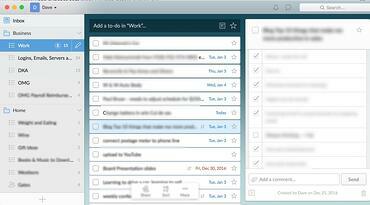 As with the calendar, I use a list that syncs between my computers and mobile devices and my choice is the Wunderlist app. I use Wunderlist because it has folders, an unlimited number of lists that can be included in each folder, and each list accomodates a sub list, notes and attachments. I also utilize the due date and reminder options and sort the items in my lists by due date. I would be lost without Wunderlist. Auto Responder. 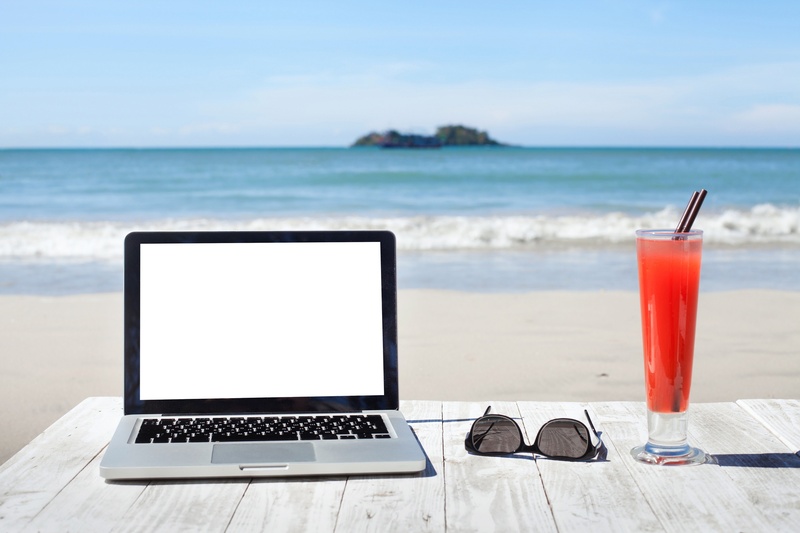 I turn on my email's auto responder whenever I will be unable to respond to emails for 6 business hours or more. I don't want to appear unresponsive and my message tells people who they can contact in my absence and when they can expect to hear back from me. I don't have to apologize when I finally do respond and that saves unnecessary typing as well. Rituals. In order to be productive, I know that I must wake up at the same time each morning. My default is 5:30 AM, which gives me an hour to respond to emails that came in overnight. I usually have a number of emails from OMG's overseas partners, as well as CEO's who choose to work late rather than start early. Most of my articles are written during this one-hour window in the morning as well. Anti-Meeting. Most meetings are time wasters so I don't schedule many. I have two 10-minute morning huddle calls, one for the leadership teams of each company, at 8:15 AM and 8:30 AM and most of what needs to be communicated in either direction is accomplished during that time. I have a weekly product development meeting for OMG, a weekly sales/client projects meeting for Kurlan, and monthly and quarterly leadership meetings for OMG. Less is more. Anti-Travel. Some travel is unavoidable but most of what I do can be done by phone, video conference, file share, internet based collaboration and more. Everyone is busy, travel wastes enormous amounts of time and money and it takes you away from family. Travel is a last option, not a first option. Email. To limit incoming email that requires responding, there are a few things that help a lot. First, unsubscribe to everything that creates noise. Spam is impossible to unsubscribe from but if that's the only stuff in your junk folders you can do a quick review and mass delete each day. In order to do that, it's crucial that you first add senders that you want/need to hear from, but that might end up in your junk/spam folders, to your safe sender list. With that accomplished, you should utilize the Rules function of your email to automatically move emails that you receive every day, like newsletters, to a newsletter or subscription folder. I also have folders called "Waiting" and "Action." When I am waiting for a response from someone, I blind copy myself and move it to the waiting folder, and when someone is waiting for me to do something that email gets moved to the action folder and added to a list. I never save emails in my inbox. Instead, there are folders for every client and partner, for marketing, accounting, tools, subscriptions, etc., and emails that need to be saved are moved to the appropriate folder. Having thousands of emails in your inbox is not efficient! Family. Nights and weekends are for family. Family dinners and watching our son's baseball and basketball games are my number 1 evening priority - not work. If I am behind, I may take an hour or two to catch up at night, but not until after we have spent quality time together at dinner. I have 10 more tips on getting more done here. Do you have any tips that contribute to getting more done than anyone else? Add them to the comments below! 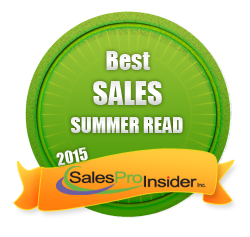 Regular readers know that I have written more than 1,400 articles to help them better Understand the Sales Force. Some of the articles won awards. A few were stinkers. I intended for all of them to be very helpful and I believe they are. Over the years, some of my favorite articles were completely overlooked, getting relatively few reads compared with the most popular articles that were viewed by tens of thousands of people. Today I wrote an article for LinkedIn that not only explains Donald Trump's rise to presumptive GOP nominee, but identifies ten, great selling lessons associated with his rise. It doesn't matter whether you love, hate or are neutral to Trump, I invite you to read my observations and lessons and contribute to the conversation. You can read the Trump article here. 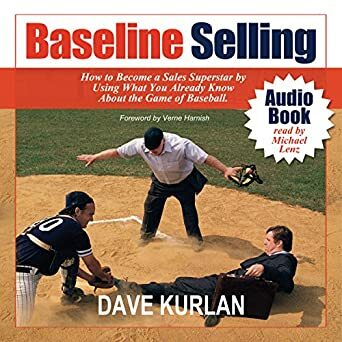 Speaking of lessons, when salespeople miss key milestones in the sales process – and they are often missed – it leads to proposals and/or quotes that rely on guesswork instead of facts, assumptions instead of agreements, and hope instead of acceptance. When salespeople send proposals to their prospects, they hope the proposal will do the selling for them, but it causes one of four things to happen instead. An article I wrote that appears today on the Selling Power Blog identifies those missed milestones and the four things that happen instead. You can read the Selling Power article here. Aside from requests for Motivational training, Time and Territory management training is one of the most inappropriate requests I receive each week. And I've been getting requests like that for more than 25 years! are not strong enough to get their salespeople focused on key selling activities. prioritizing tasks as A's (must be done today), B's (should be done today) and C's (could be done another day). Identifying tasks (like CRM entry, call reports, etc.) that get procrastinated (left off, put-off, forgotten, incomplete) and scheduling time for them in the calendar. So what should Sales VP's and sales managers be asking for instead? Sales Force Evaluation - this identifies all of the specific issues that need to be addressed. No guess work, just everything one needs to know about their systems, processes, strategies, people, selection, pipeline, growth potential, training requirements, reasons for under-performance, effectiveness and more. Sales Training and Development - sales process, sales methodology, sales approach, sales tools, sales expectations, sales tips, best practices, sales core competencies, role-play, relationship development, strategic account management, etc. When salespeople under perform, sales forces fail to meet their goals. For many sales leaders, rather than identify the real cause of the problem, it's simply easier to ask for motivation, time, and/or territory training. That's all well and good but none of those three topics, regardless of who is presenting them, ever address or solve the real problem. Are Sales Tools the Solution? But how often do you observe your salespeople doing any of these things? When your salespeople focus and play with the tools instead of using the tools to support their selling efforts, the tools become part of the problem. Am I suggesting a 15-hour work day? No. You need balance, you should spend time with your family. But salespeople must do the work that doesn't involve interacting with their prospects, at times when they can't reach their prospects. Best-Selling Author, Keynote Speaker and Sales Thought Leader. 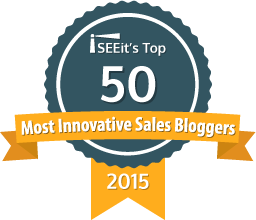 Dave Kurlan's Understanding the Sales Force Blog earned a medal for the Top Sales & Marketing Blog award for six consecutive years. 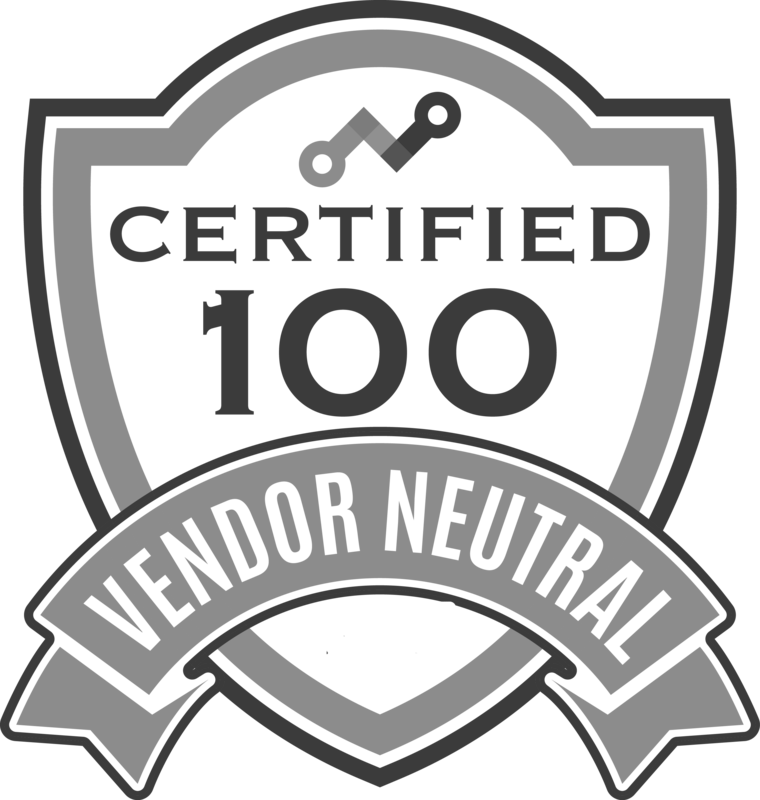 This article earned a Bronze Medal for Top Sales Blog post in 2016, this one earned a Silver medal for 2017, and this article earned Silver for 2018. Read more about Dave. Most Popular Articles - Ever!